By 2019, 95% of all legacy meters will have to be replaced by smart meters and, for 2017, the required target is 70%. 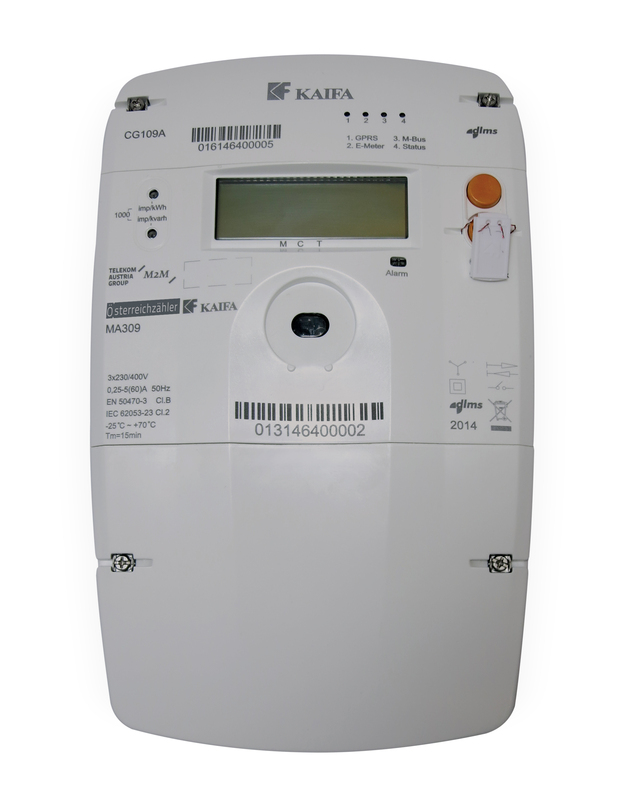 This means that within the next few years millions of existing electricity meters will be turned into smart meters. Telekom Austria Group M2M presented "Österreichzähler" to the general public already in 2014 and, in the spring of the current year, took the next logical step by deploying Europe's first smart meter with LTE connectivity. Within the framework of this year's European Utility Week in Vienna, the most important meeting point for the energy supply industry in Europe, Telekom Austria Group M2M has presented the next generation of "Österreichzähler", which will be available from now on also with PLC-based data communication. This will contribute to better fulfilling the requirement of numerous energy suppliers to receive "everything from one single source", as the new "Österreichzähler" will be made available with both mobile-based and PLC (power line communication)-based data communication. Moving forward, the main focus in terms of data communication will continue to be on security, interoperability and open standards. Only in this way it will be possible to guarantee the necessary investment and data security. On the mobile side as well, considerable improvements have been made to date thanks to the deployment of the new Cat.1 LTE modules, which were further optimized for M2M applications and are now characterized by lower power consumption. As Austria's leading communications provider with 130 years' experience in the telecommunications business and roughly 8,000 employees, Telekom Austria Group is the ideal partner for the domestic energy supplier sector and thus one of the pioneers of energy transition. "Thanks to our longstanding experience in the area of complex ICT solutions, when it comes to joint projects, our M2M experts are able to provide professional planning competence for communications networks based on a wide range of different technologies", said Bernd Liebscher, Managing Director Telekom Austria Group M2M, stressing the comprehensive know-how of Austria's leading communications operator as a service provider of the energy sector. Based on its intensive cooperation with the electricity industry, Telekom Austria Group M2M is able to fulfill the complex requirements of energy suppliers in terms of data communications networks. For so-called smart grid applications, the LTE technology proves to be particularly relevant: frequencies within the 800MHz range, which are ideally suited for this application field, will be available over the long term, therefore offering sustainable investment security in terms of data transmission. At the beginning of November, Telekom Austria Group M2M reported a record performance: all legacy meters of the customers of the Austrian power grid operator E-Werk Kneidinger in Upper Austria were converted into smart meters within one single day. This global solution encompasses the installation of the new smart devices including meter exchange, their interconnection via the A1 mobile network as well as the set-up of a corresponding IT platform (meter data management). The rollout was accomplished by the specially trained A1 Field Service Team in record time. Relevant IT systems and processes of the A1 Field Service Team were fully optimized for the smart meter rollout. At present, the A1 field service technicians manage approximately one million customer appointments per year and, with a team of 1,300 experts, they represent the largest field service organization in Austria. They also guarantee a high degree of security competence, while complying with strict data protection and data security requirements. Since 2012, numerous smart meter rollout pilot projects have been successfully carried out by the company. These comprise, among others, customers in Vorarlberg, Upper Austria, Salzburg and Burgenland. Smart metering, the deployment of smart electric meters as a basis for efficient energy management is one of the numerous possible applications of the M2M technology. 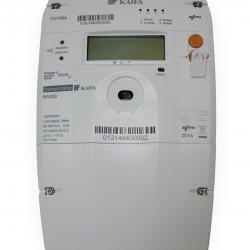 Smart meters do not only record energy consumption and production levels in a combined manner but also provide a wide array of additional information like for instance the measurement of consumption intervals. In 2011 and 2012, the legal framework for a countrywide smart grid rollout was put in place in Austria. As a result, 95% of all existing electric meters will have to be replaced by so-called smart meters by the end of 2019 with the ultimate goal of generating higher transparency and promoting energy savings. In light of the planned smart meter introduction, electricity providers are currently preparing for the challenges that lie ahead. The necessary investments in smart metering systems, data transmission, installation and operating services as well as in a central IT infrastructure have to be made in a future-proof and cost-effective manner with low risk and a rapid implementation time frame. As a dependable partner of the domestic energy supply companies, Telekom Austria Group M2M provides high-security transmission networks for data communication between the single smart meters as well as managing the introduction and round-the-clock operation of the necessary infrastructure. Telekom Austria Group M2M offers end-to-end smart metering solutions based a multi-vendor portfolio and a wide array of proven communication technologies. Telekom Austria Group M2M GmbH is a competence center for machine-to-machine communications and a wholly-owned subsidiary of the Telekom Austria Group. As market leader for the interconnection of machines and electronic devices in the CEE area, Telekom Austria Group M2M can rely on the best network infrastructure, a strong regional footprint across its operating markets, industry-specific solution partners and a globally extended roaming network. Based on personal project management and leading M2M technology platforms, Telekom Austria Group M2M offers its international customers from a wide range of industrial sectors comprehensive solutions in the area of asset tracking & fleet management, industrial automation & remote maintenance, smart metering & energy efficiency, connected car & connected customer electronics in addition to M2M data communications services.